You can make your own new color scheme by choosing preferred colors. Specify the name of your color scheme in this text field. 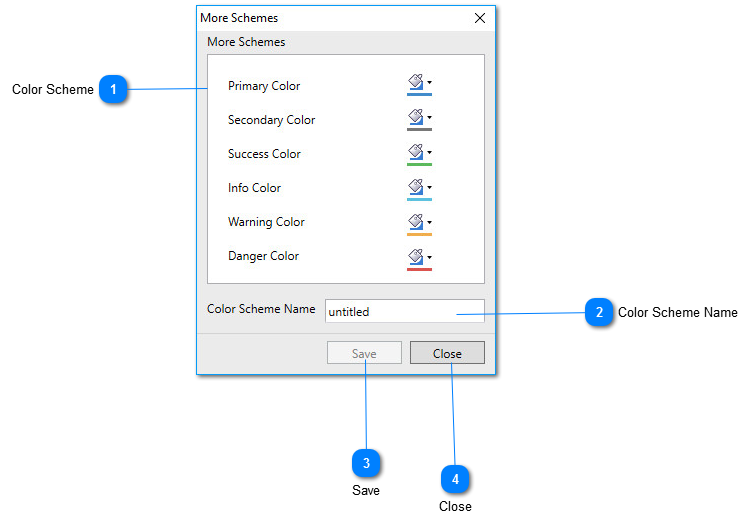 You can create as many color schemes as you want and save with their unique names using this option. Press close button to drop the changes and close the dialog box.